G + I spent Easter Saturday in Canberra. 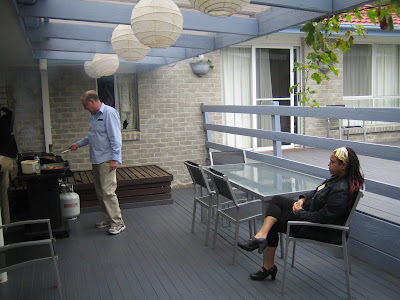 We visited my Dad and had a delicious BBQ. I also finally found the secret ingredient to the best marinated chicken ever! It's been 20+ years but I finally know - tumeric. That's it. Canberra weather is already getting cold. It was 19 degrees max while we were there. Woden shops were packed with people buying dozens and dozens of hot crossed buns. Next time, I promise to catch up with everyone else.